I have a layer of different types of polygons. Some are fields, other are roads. Sometime a road polygon is entering a field polygon. 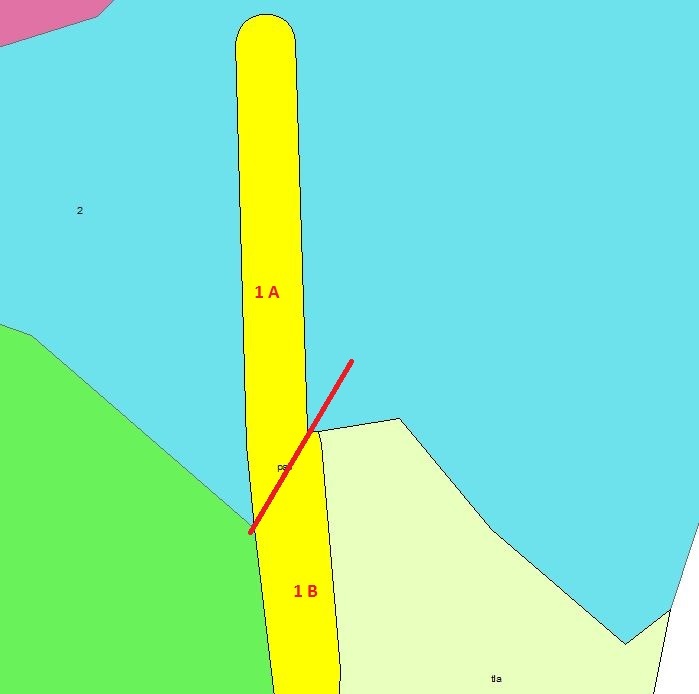 As presented on the capture, the yellow road (polygon 1) is getting inside the blue field (polygon 2). I am trying to split the road in 2 pieces 1A and 1B, at their edges intersection (following the red line), so I could then merge and dissolve the part 1A of the road to the field (polygon 2) it is contained within. The goal is to have a layer with only fields polygons. Roads should be erased, and all gaps filled and merged to the largest adjacent polygon. As there are no overlapping, I was looking of a way to cut/split the road polygon, before merging it to the fields. But as there is a very important amount of data, this process should be done automatically, and not manually by identifying visually edges and splitting using polylines. Is there a way you can think of, using ArcGIS tools (perhaps production mapping?) or any other tool or method that I could use? Browse other questions tagged arcgis-desktop merge splitting donut-polygons or ask your own question. Merging based on attribute and spatial location in ArcGIS Desktop? Identifying multiple polygon features that contain point features and adding attributes to table in ArcGIS Desktop? Dividing polygon and assigning values ​proportionally (population) using QGIS?